Well, the holidays are over – unfortunately, winter is not. 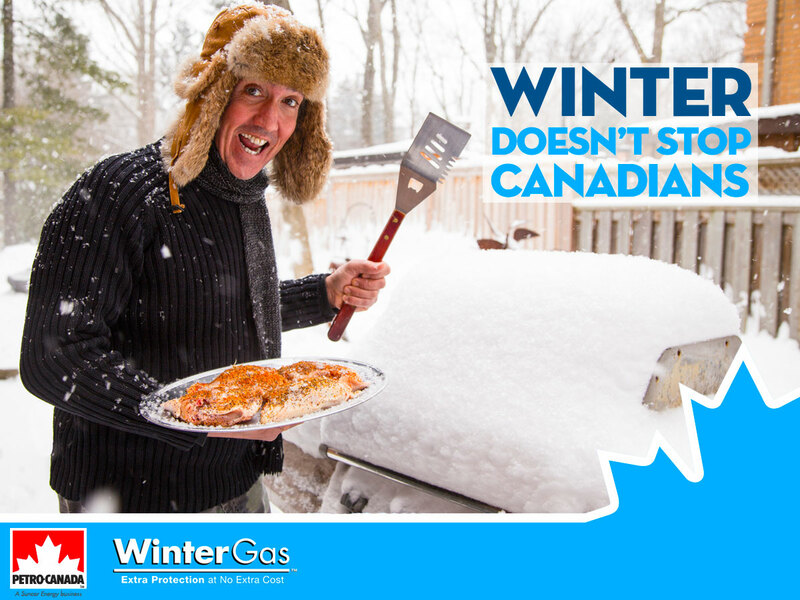 But when the weather outside is frightful, WinterGas™ is delightful! And it’s available again this year at Petro-Canada. What makes WinterGas different from regular gasoline? WinterGas is specially formulated to have a higher vapour pressure. Essentially, gasoline in winter months needs to be more volatile to help your engine start more quickly. So WinterGas helps with cold weather start ups. WinterGas also includes Petro-Canada’s Tactrol™ additive, which is designed to act as a detergent. Tactrol helps keep your engine operating efficiently and reliably by removing deposits formed in the fuel and intake system. The final additive that makes WinterGas more effective in harsh winter conditions is our gas-line anti-freeze, which helps prevent fuel line freezing and keeps the fuel moving when temperatures drop. Is WinterGas more expensive than regular gasoline? Nope. WinterGas is available in all grades of gasoline – including Ultra 94 – at no extra cost. Where can I get WinterGas? No other gas station in Canada makes WinterGas - it's available exclusively at Petro-Canada from November through March in all gasoline grades at Petro-Canada gas stations across Canada (except the Greater Vancouver Regional District, Vancouver Island and the Sunshine Coast). As our iconic WinterGas commercial says, "you have to live here to get it"! What’s the winter been like in your area this year? Let us know in the comments. And stay safe out there, drivers!